Roderick Donald McLeod was born on January 15, 1848 in Americus, Sumter County, GA. His parents were Norman Evans McLeod and Permelia Elizabeth "Betsy" Horne. He was one of five children. 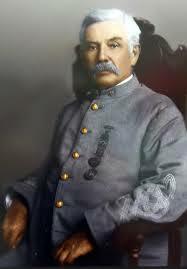 He served in Company G, 7th Regiment, Georgia Infantry during the War Between the States as a private. Roderick Donald McLeod was Judge in Crawfordville from 1901 to 1928. His greatest acclaim was for his decision regarding mullet fishing. In the early 1900’s a bill established January and February as “open” season for mullet. In Wakulla County November and December are the best time for mullet fishing. This is what they call “Run Season.” Some men were arrested for fishing out of season and brought before Judge McLeod. With his reputation for being a fair man, the fishermen were sure they would get a proper judgment. He sent them on their way, however, with no real solution to their problem. He was very concerned about the livelihood of these fishermen, but had to obey the law. It was pointed out to (the Judge’s wife) that mullet had gizzards, a unique feature, as other fish do not have gizzards. Upon hearing this, the Judge was then assured of the course to take. The mullet not a fish, since it had a gizzard, and released the fishermen! The entire state rejoiced over the victory brought about by Judge McLeod. Newspapers throughout the state ran headlines proclaiming the mullet to be a bird! There is a hand carved cypress mullet weathervane on top of the old Wakulla County Court House. There is also a sign in Azalea park.